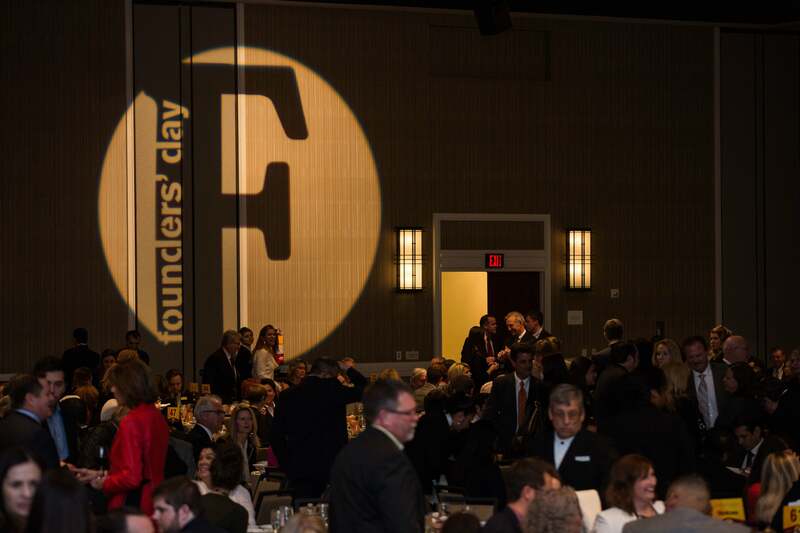 The Arizona State University Alumni Association will honor alumni, faculty and supporters at its annual Founders’ Day Awards Dinner, set for 6 p.m. on Wednesday, March 21 at the Arizona Biltmore Resort and Spa in Phoenix. The awards ceremony has been a signature event for the university for decades and honors individuals who exemplify the spirit of the founders of the Territorial Normal School of Arizona, ASU’s predecessor institution, which received its charter from the Thirteenth Territorial Legislature on March 7, 1885. As part of the celebration, ASU President Michael M. Crow will provide a university update. President Michael Crow will speak at the 2018 Founders' Day ceremony. Sambo ‘Bo’ Dul serves as counsel in Perkins Coie in the firm’s litigation practice and is a member of the White Collar and Investigations group. Her practice focuses on assisting clients with compliance and internal investigations involving matters of corruption, fraud, violations of company policy and other misconduct. She helps clients develop, improve and implement compliance programs and internal controls to prevent regulatory violations and minimize liability risks. Dul maintains an active pro bono practice advising on immigrant and refugee rights. She has represented immigrants seeking asylum, withholding of removal, protection against human trafficking and other relief against deportation, and has experience in prisoners’ rights matters. For her work, Dul was named to AZ Business Magazine’s Top Minority Business Leaders in 2017 and earned the Judge Learned Hand Emerging Leadership Award from the Arizona Region of the American Jewish Committee in 2017. In addition to her work at Perkins Coie, Dul advocates for community organizations, serving on the boards of Diversity Leadership Alliance and the American Civil Liberties Union of Arizona. She is a founding board member of Youth Adelante and has been a regional refugee coordinator for Amnesty International USA and its legislative coordinator for Arizona. She was founder and executive director of Community Outreach and Advocacy for Refugees. Missy Farr-Kaye completed a trifecta in 2017, winning her third NCAA national championship as a Sun Devil — first as a player in 1990, then as an assistant coach in 2009, and now as a head coach. In 2017, she also received four coaching honors: Golf Pride Grips WGCA National Coach of the Year, Golfweek National Coach of the Year, West Region Coach of the Year, and Pac-12 Coach of the Year. Farr-Kaye, who was named the 10th head coach of the seven-time NCAA Champion Arizona State women’s golf team in 2015, has been with the program for 16 years, previously serving as an assistant and associate head coach. James W. Creasman Award of Excellence: Robert Page Jr.
Robert E. Page Jr. is receiving the James W. Creasman Award of Excellence for his contributions to the ASU Alumni Association, the university and its communities. This award recognizes an individual or group that lives out the values exemplified by James W. Creasman, who served the university for more than six decades. The founding director of ASU’s School of Life Sciences in 2004, Page has been ASU vice provost and dean of the College of Liberal Arts and Sciences, as well as provost of the university. He joined ASU in 2004 after spending 15 years on the faculty of the University of California, Davis where he served as Chair of Entomology from 1999–2004. His background is in behavior and population genetics and the focus of his current research is on the evolution of complex social behavior. Using the honey bee as a model, he has dissected their complex foraging division of labor at all levels of biological organization from gene networks to complex social interactions. Sparky was on hand at the 2017 Founders' Day to congratulate award recipients. This year's event is on March 21. Nancy Gonzales is recognized for her ability to explore and explain when, how and why some students are more successful in their educational endeavors than others, and what society might do to help. In tandem with large teams of undergraduate and graduate students, postdoctoral scholars and research scientists, Gonzales’ work views culture in a broad and multi-dimension fashion. Her research examines culturally informed models of family and youth resilience in low-income communities and has contributed important insights into the cultural strengths, challenges, and positive development of Mexican Americans living in the Southwest. Gonzales’ research is complemented by a scholarly record filled with external funding — including highly prized National Institutes of Health and National Science Foundation support — and a long list of publications during her 20-year professional career. An ASU Regents’ Professor — the highest faculty honor awarded by the university — Gerald Heydt is well-known for his tireless work and passion for power engineering that he shares with students, connections that run deep and create lasting impacts on their university and professional careers. He is the namesake and a leading donor for the Dr. Gerald Heydt Fellowship for Power Engineering, an endowed fellowship living in perpetuity for graduate students in that field of study. A professor of advanced technology at ASU, he is a member of the U.S. National Academy of Engineering and a life fellow of IEEE who has been recognized as the organization’s Power Engineering Educator of the Year and recipient of the prestigious Kauffmann Award. He has served as program manager for the National Science Foundation’s program for power engineering and has worked with the United Nations Development Program to help countries achieve sustainable development. Ariel Anbar’s innovative contributions revolve around the development of next-generation adaptive digital learning experiences. Included in these are interactive virtual field trips to scientifically important locations around the world, simulation-based learning experiences in Earth and space sciences, and online courses such as “Habitable Worlds” and “BioBeyond.” These learning experiences are created by Anbar and his partners working with the diverse and dedicated team of learning designers, technologists, students and staff in ASU’s Center for Education through eXploration, which he directs. Anbar leads the development of a new theory of digital-learning design to advance online learning beyond the mastery of what is known to the exploration of the unknown — embracing higher-order skills of question-asking, problem-solving, and persistence. ETX theory is emerging as a centerpiece of ASU’s next-generation vision of online education. The Fulton Family are being honored as the 2018 Founder’s Day Philanthropists of the Year for their vision, leadership and commitment to advance Arizona State University and the New American University. As catalysts for the acceleration of the Ira A. Fulton Schools of Engineering and the Mary Lou Fulton Teachers College along with numerous investments throughout the university from athletics to performing arts, the Fulton family invests in ASU to inspire students, alumni, and friends across campuses and around the world. Their investments have created a living legacy of engagement, support and mentoring on campus. Beyond the contributions of more than $160 million dollars to ASU, the Fulton family devotes their time and energy to the advancement of students, faculty and leadership on campus and in our community. The Fulton family also supports ASU through leadership representation on the Trustees of ASU, the ASU Foundation Board of Directors, the Ira A. Fulton Schools of Engineering Campaign Board, the ASU President’s Club and the ASU Sun Devil Club. Tickets to the Founders’ Day event are $150. Table and corporate sponsorship opportunities are available. For additional information about Founders’ Day, or to RSVP, visit alumni.asu.edu/foundersday.